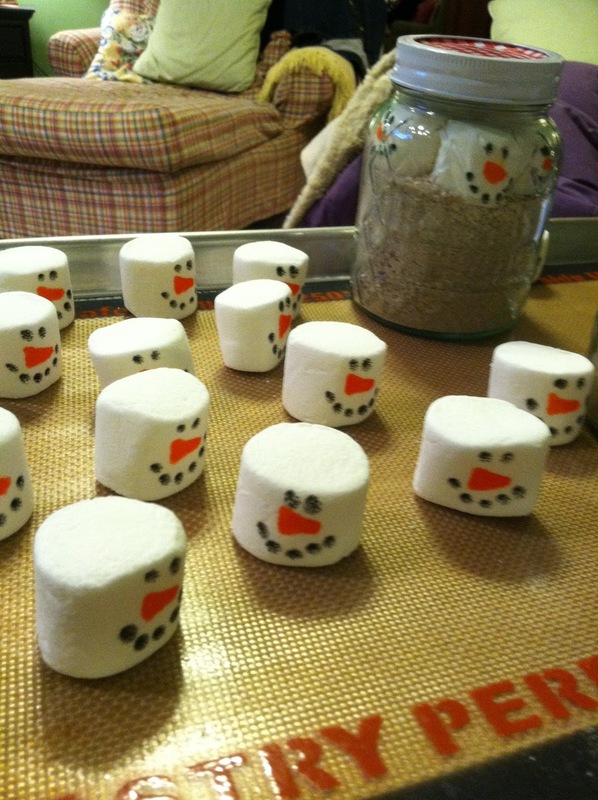 Mom found the idea for "Snowman Soup" on Pinterest, and made them for Christmas gifts for her Kindergartners. How cute are the little marshmallows? She used food paint pens that we got from Hobby Lobby and this recipe for hot chocolate mix. 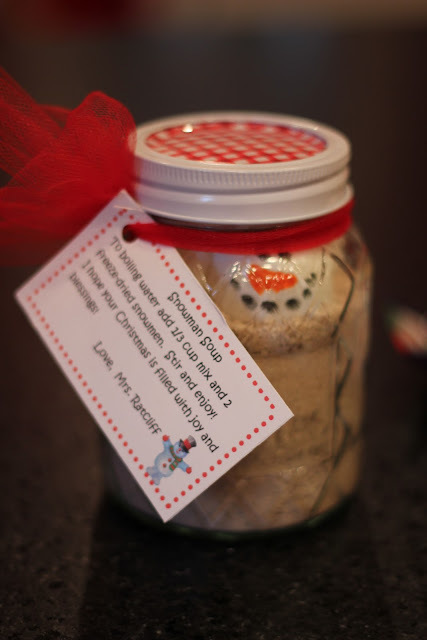 It was super easy, and turned out to be a really cute gift that her kids loved! On another note, we (safely) arrived home (at 6am) this morning from Denver! What should have been a 13 hour drive, turned into a lovely little 18 hour drive smack dab full of icy roads and lots and lots and lots and lots of snow. Hopefully all those sweet little road conditions will clear up before our drive next week . . . eeeek. Merry Christmas Eve's Eve everyone! Hi! What size jars were used for this?